What a day for the Washington Capitals as they got to continue their Stanley Cup celebrations with a traditional Stanley Cup parade. However, there were a few things that made this particular parade unique. 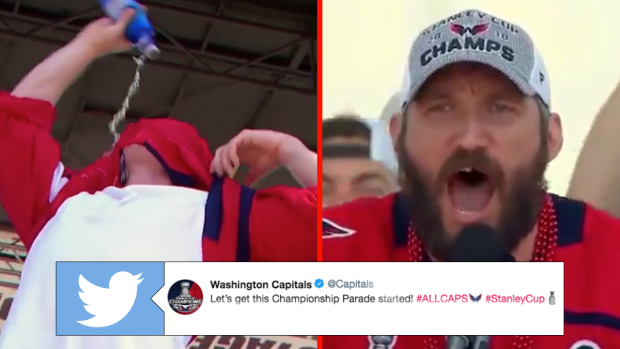 First of all, it is the first time the Cup has ever been paraded through Washington, but it was also being facillitated by a team that has set a new bar when it comes to celebrating. The parade didn't disappoint. Here are a few of the best moments from what turned out to be a massive turnout. Just how excited is Ovi for the #CapitalsParade?